A bright white finish and a hint of deco make Hastings’ Ovo Silk Tub the perfect Palm Beach centerpiece for the bath. 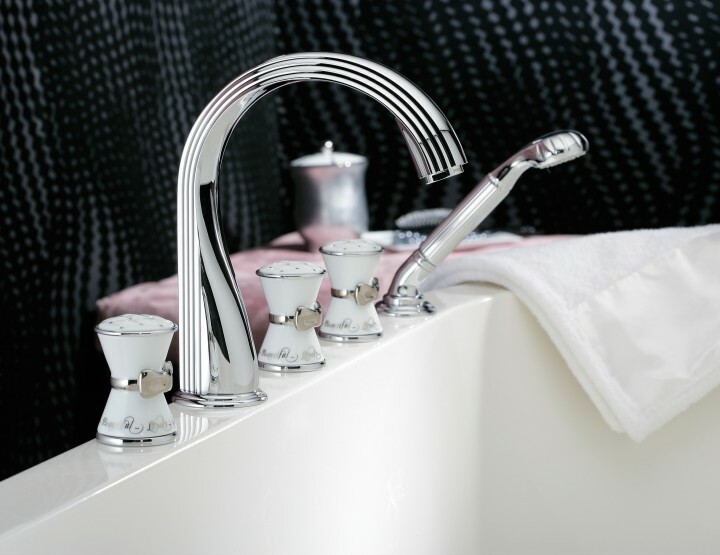 Its unique oval shape gives the basin an ergonomic elegance, and its silky smooth finish cradles with a light hand. 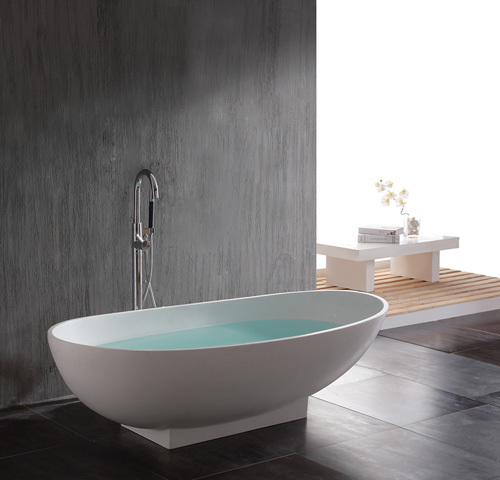 Durable as any porcelain tub but without the volume, Ovo infuses the bath with the luxury of a summer spa year-round. 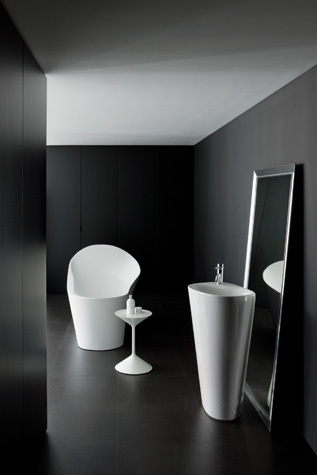 From the soothing contours of the ocean come the soft ripples of Laufen’s Palomba Menhir vessel. The floor-standing ceramic washbasin’s beautiful curves are reminiscent of a tide-swept rock that organically morphs the towers into the basin surface. Distinguished by a clean white finish, Menhir (which means “tall stone” in Breton) makes any bath feel a mere stone’s throw from the surf. 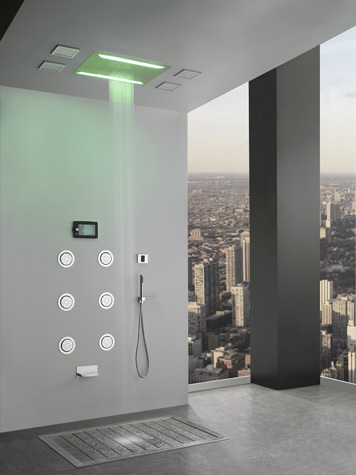 What better way to end a day in the sun than with the beauty and brilliance of GRAFF®’s Aqua-Sense shower. Providing a full sensory, modern shower experience, it combines GRAFF’s structural innovation with distinct customization. From the ceiling-mounted showerhead (with RGB LED color-changing lights), to the USB port for portable MP3 connection, there’s nothing like Aqua-Sense. 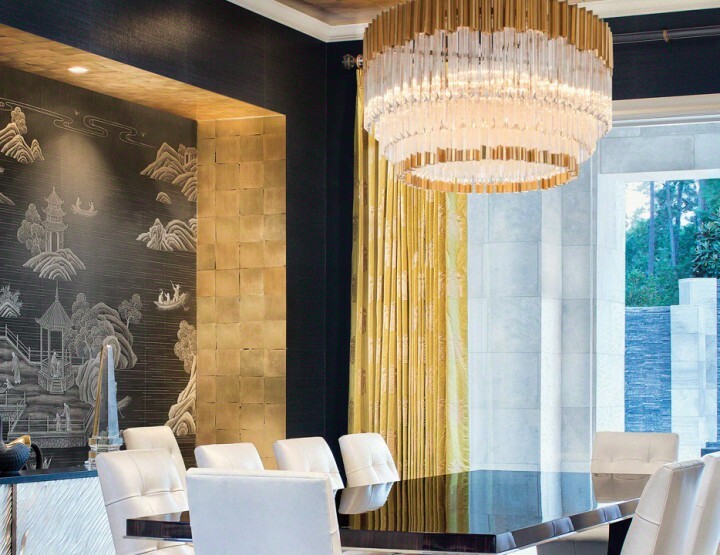 Crowned by a pitch-perfect ivory shade and supported by a staggered column of gilded crystal, it’s hard to picture Husdon Valley Lighting®’s Brookfield originating anywhere but a Palm Beach oceanside resort. 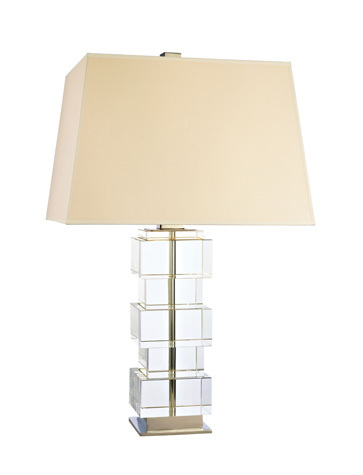 Handsome metal accents (available in aged brass or polished nickel) complement the fine-cut crystal squares and the crisp eco paper shade, creating an illusion of a soft beach breeze. A waterfall on a beach? It’s a mirage only THG® can bring to life, with Oceania. The sea-inspired waterfall bath fixture merges the beauty of cascading water with the fauna of the ocean. 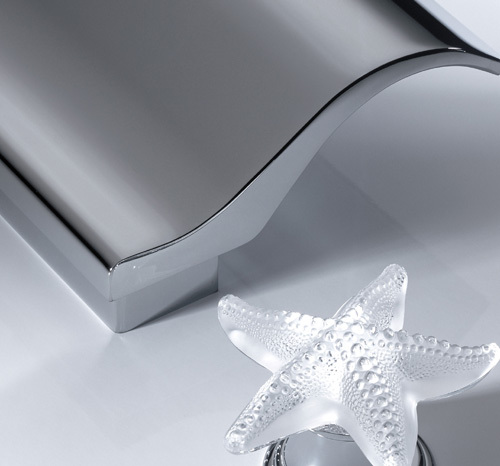 A wave-like arched spout perfectly balances the starfish Cristal de Lalique handles finished in clear satin crystal. Soft shapes, stunning style and lovely hints of paradise make Oceania ideal for any beach-inspired bath.